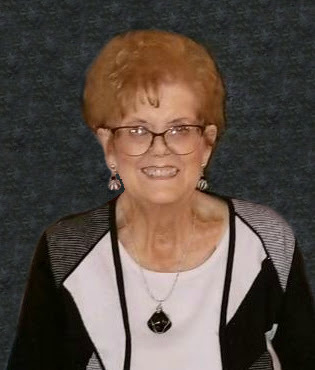 Marilyn Campbell Allen, age 76, passed away peacefully on November 28, 2018 at home in Gilbert, Arizona. She was born in Provo, Utah on August 19, 1942 to Max and Berma Cox. Marilyn received her Associates Degree from Chabot Community College in Hayward, California. She will be fondly remembered by her family as a loving, supportive wife and mother. She always sacrificed her needs for the good of her family. Marilyn lived with passion for life. She didn’t know how to partially commit to anything. Anyone that knew her, knew to step aside and let her take the reins. She loved to sing and teach others to sing. She also loved to work with the youth, helping them unlock their musical abilities. She was always committed to helping youth find something inside that they didn’t even know they had. She was a master of the performing arts. Marilyn was tough as nails on the outside and soft as butter on the inside. She also was a collector of beautiful things. She enjoyed entertaining and sharing her china and antique glassware. Marilyn was an incredible lady! Oh the places we’ll go and the mountains we’ll move because of the example of our amazing mother. Marilyn is survived by her husband of 23 years, Dwayne Allen; her children, Casie Campbell, Kirsten Jacobson (Brian), Brent Campbell (Allison), David Campbell (Dara), and Scott Campbell; her grandchildren, Jeremy, Makenzie, Zachary, Nathan, Benjamin, Tyler, Samuel, Ashlynn, Isaiah, Benjamin, Brandon, Mia, Parker, Claire, and Cooper; and her sister, Carol Ann Driggs (Ken). In addition to her parents, she is preceded in death by her first husband, Floyd Eugene Campbell; her brother, Robert McCausland; her sister, Francine Christensen; and her brothers, Ronald Max Cox and Robert Wayne Cox. All whom loved her dearly and will never forget her tenacity, wit, and undying love for them. A funeral service will be held on Tuesday, December 4, 2018 at 11:00am at The Church of Jesus Christ of Latter-day Saints – Islands Ward Building, 1150 West Elliot Road, Gilbert, Arizona 85233. Bishop Brad Bell will officiate, with a burial following the service at Mountain View Cemetery, 7900 East Main Street Mesa, Arizona 85207. Family and friends are invited to attend a visitation on Monday, December 3, 2018 from 6:00 to 8:00pm at the Islands Ward Building. There will also be an hour visitation prior to the funeral services. I’m so sorry girls to hear about your mother. Prayers for you and your family. WOW What a shock. We are so sad about the loss of your dear Mom. She was ‘one of a kind’ and was always appreciated her zest for life. Her influence and enthusiasm rubbed off on all of us. We send our love to all of you with fond memories of the Danville years that shaped us all It was a wonderful time of life. Love and best wishes as you reflect on a life that was not wasted.